In his speech, the president-elect Kh.Battulga vowed to treasure Mongolia’s independency, freedom and national unity, honor the constitution, fulfill the duty of the President and received the blessing from the national flag of Mongolia. Thus, the President Kh.Battulga officially received the State Seal from the outgoing President Ts.Elbegdorj. 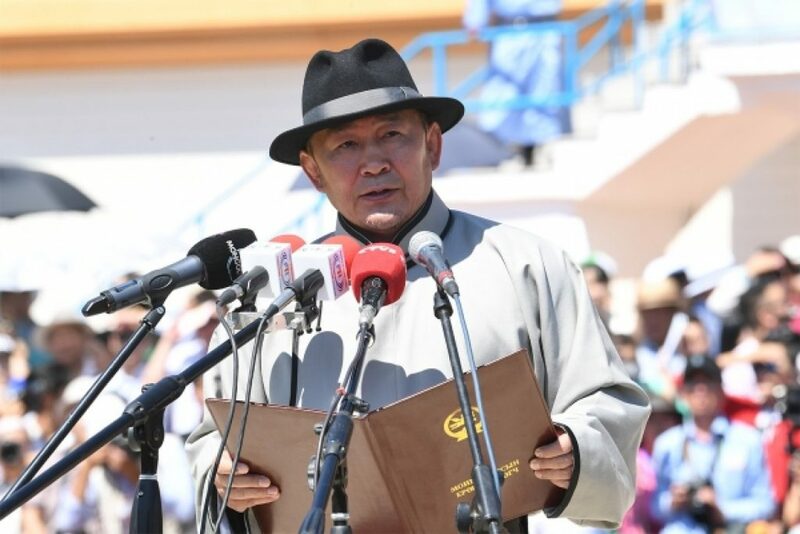 “Assuring the faith of Mongolian people, I have pledged my oath as the President of Mongolia. This is the highest hope and responsibility entrusted to me from the people and voters. Inheriting the noble chain of our ancestor’s tradition, I accept the call to strive for integrity for my people” addressed President Kh.Battulga. “I express my gratitude for Mongolian people for having faith and trust in me. Also, I wish the other candidates of Presidential election and outgoing incumbent President Ts.Elbegdorj success in their further actions dedicated for the prosperity of Mongolia” said the President Kh.Battulga.